Frontier Dreams: Gypsy Forest giveaway! I am so very pleased to present to you Stephinie of Gypsy Forest. Some of you may know of her from her beautiful blog by the same name. Her shop offers beautiful handcrafted goods for children & other artful bits all made with natural fibers, made with love, and built to last. Please tell us a bit more about your self. My biggest job is being a mom to my four kids ages seven to seventeen and wife to my sweet husband. Life as a family of six is crazy, and loud, and lots of fun. Everyone in the house is creative in their own way, which also makes for lots of messes and good times. I love to cook, sew, knit, read, laugh, and at least one of the kids is always happy to join me. I share bits of family life on my blog, Gypsy Forest. How did Gypsy Forest begin? Gypsy Forest first began as my blog, a way for me to keep in touch with family and friends. We move every three years or so due to my husband's job and the blog has allowed me to easily stay connected with loved ones. My readership grew as the years passed, this month marks five years of writing in that space! 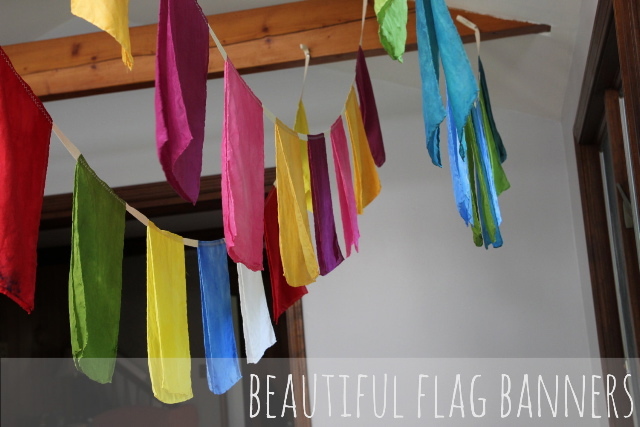 As time went by I started offering my sewn goods and more recently hand-dyed playsilks. 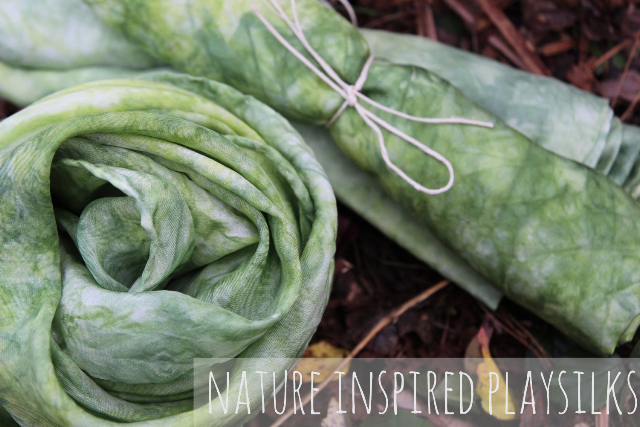 My silk colors are all inspired by nature, and dyed with eco-friendly dyes. My ten softly variegated basic colors are always in stock, and I also offer special edition multi-colored silks that are dyed up in small batches as inspiration strikes. I truly fell in love with dyeing silks and in the last year I've expanded my products to include silk canopies, banners, silk & flannel blankets, and women's scarves. 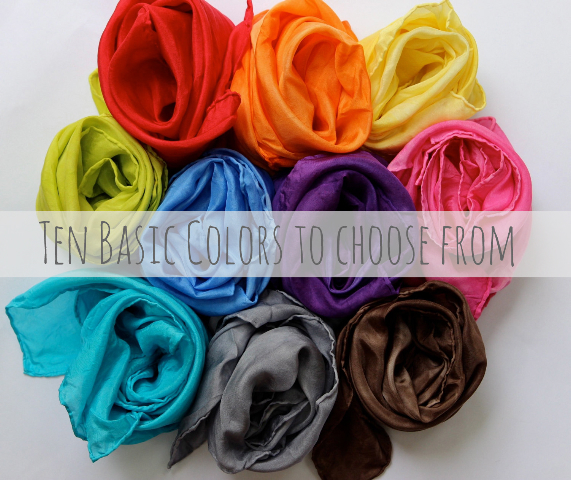 In the coming weeks I'll be expanding my selection of simple totes and women's scarf styles! 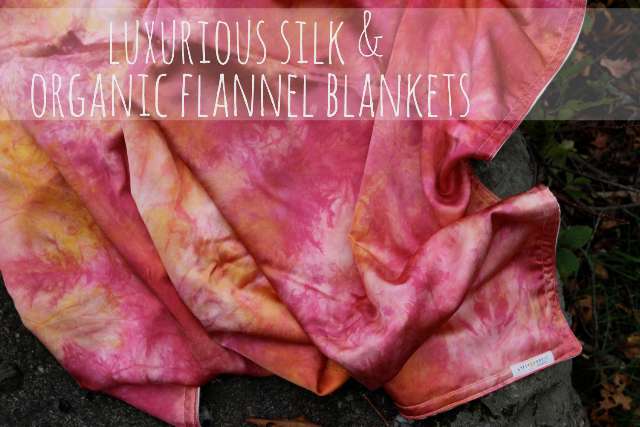 For the holiday season, I am most excited about my newest product : a silk & flannel blanket. It's a luxurious heavyweight silk + organic unbleached fair-trade cotton flannel. It's really incredible & I am so happy to finally have them in the shop. Happy customers. I really love my customers, they send the sweetest notes and stories about how they are using something I made. As an artist, a huge amount of love goes into everything I create. When one of my customers takes the time to let me know they love it, or send me a photo..... it's really just the icing on the cake. It makes my heart sing, for sure. The silks are a durable 8mm weight, colorfast & machine washable and dyed with low impact environmentally friendly dyes. 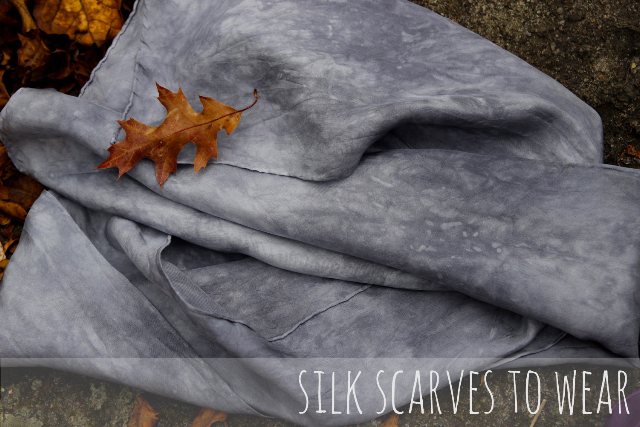 Due to the hand-dyed process, each silk will be beautifully unique. 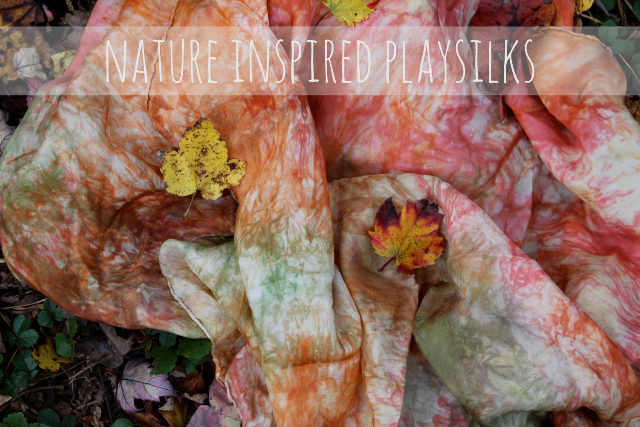 Play silks encourage creativity and offer wonderful open ended play for children of all ages. Simply put, they are one super rockin' toy! Small, natural, simple, easily brought along on a trip. They become capes, forts, peek-a-boo game for baby, blankets, diapers, baby slings, hankies, dress-up clothes, bandages, landscape for play figures, and so much more. (if you're looking for capes, choose a silk in the 35x35 size). I have to add how much my family loves using playsilks. They are a staple of play in our home, used every single day and yet every day they are transformed into something new. We even use them for every birthday and holiday as giftwrap for our presents. In my opinion, play silks are the most quintessential Waldorf toy made. 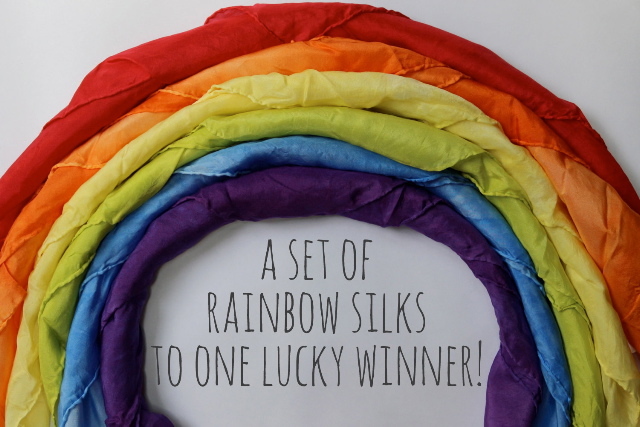 My children will be receiving a similar set of rainbow silks from Gypsy Forest this year for Christmas and I know they will be very excited over them. They just recently let me know that after 8 years of play, our silks we dyed ourselves are finally in need of replacing. I can't wait to give them these. They are packed up in a box to go to Idaho with us. I had to go ahead and pack them up now so that I wouldn't be tempted to give them to my children early. Laugh all you want but I have been very tempted! If you think the silks look beautiful in the photographs you should see them in person! and please make sure to come back and leave me another comment letting me know you did so! I will close comments on Wednesday November 27th and announce the winner within this post. Comments closed. Sorry for the delay, we are in the middle of moving. Thank you again, Stephinie. Good luck everyone!